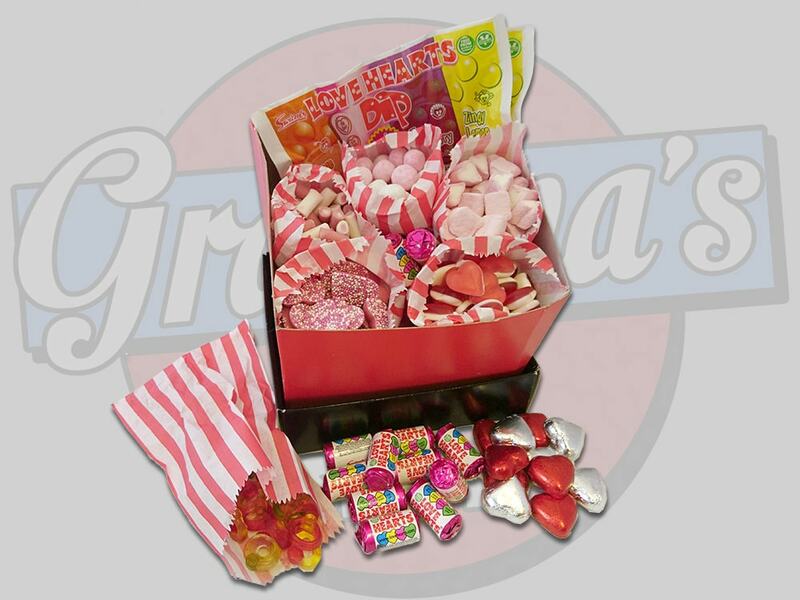 Show that someone special how much you really care with our “Sweet Valentine” Hamper. 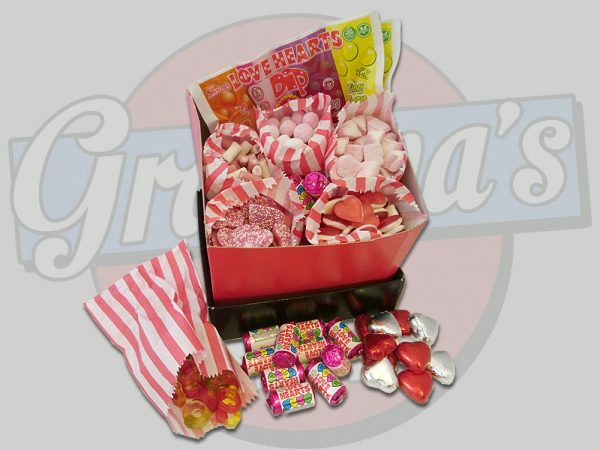 This hamper contains a selection of sweets from Bonbons to Jellies, Marshmallows to Chocolate Hearts and lots more in between and is the perfect way to show that special just how much they mean to you! A perfect Valentine’s Day Gift! 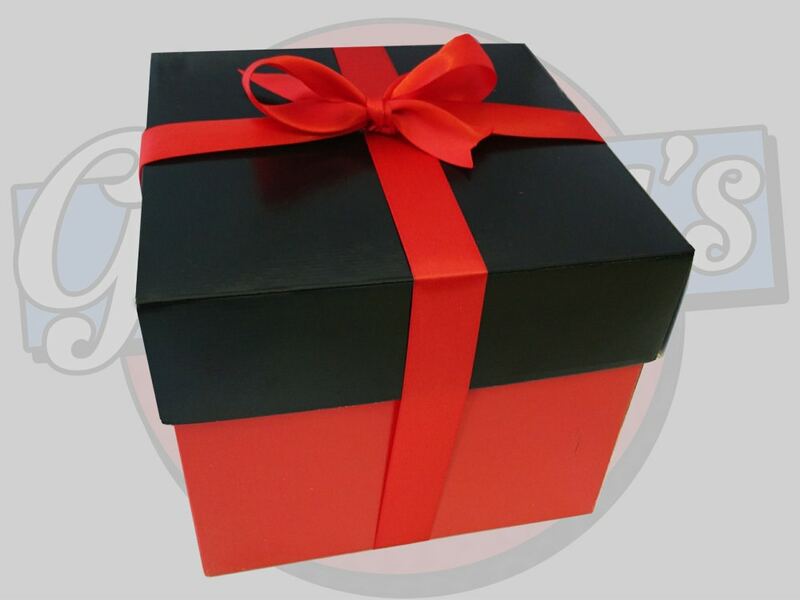 Each hamper comes in a hamper box measuring 17.5cm x 17.5cm x 15cm and is finished off with a hand tied ribbon bow – making a perfect gift! 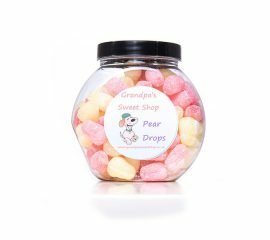 At times we may be out of stock of a particular sweet (not often), when this is the case we will include a suitable substitute of the same great taste and quality! Chocolate Hearts with Caramel Creme centre: Milk Chocolate (55%), Sugar, Whole MILK Powder, Cocoa Mass, Cocoa Butter, Whey Powder (MILK), Emulsifier: SOYA Lecithin; Natural Vanilla Flavour. Caramel Creme Filling (45%), Sugar, Vegetable Oils and Fats (Palm), Skimmed Cocoa Powder, Whey Powder (MILK), Emulsifier: SOYA Lecithin, Vanillin, Flavours. May also contain NUTS and Cereals containing GLUTEN. 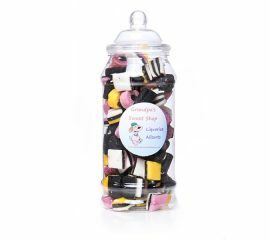 Haribo Strawberries and Cream: Sugar, Glucose Syrup, Starch, Palm Fat, Gelatine, Flavouring, Fruit and Plant Concentrates: Beetroot, Carrot. Haribo Heart-throbs: Glucose Syrup, Sugar, Dextrose, Gelatine, Citric Acid, Flavouring, Fruit and Plant Concentrates: Aronia, Blackcurrant, Elderberry, Grape; Glazing Agents: Beeswax; Carnauba Wax, Elderberry Extract. Love Heart Double Dip: Ingredients: Sugar, Dextrose, Acidity Regulators: Citric Acid, Malic Acid; Sodium Bicarbonate, Cornflour, Flavourings, Modified Starch, Magnesium Stearate, Stearic Acid, Anti-Caking Agent: Magnesium Carbonate; Colours: Anthocyanin, Beetroot Red, Lutein. 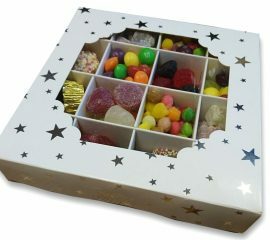 Do you like sweets that make you pull funny faces? The kind that have a sour kick to them? Well then you're in luck as this jar is designed for you! 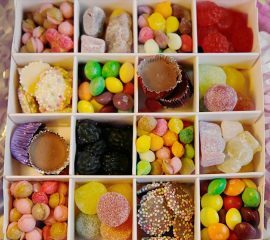 It's bursting with a whole host of sour goodies from jelly sweets and chews to sour popping candy...are you going to give in a try... 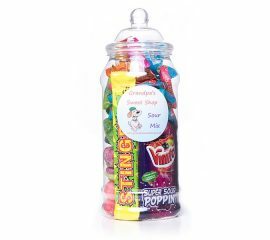 This jar is 23cm tall and has a diameter of 9cm - perfect for a whole range of uses...when you've got through all the sweets of course!